Organizational transformation is a major objective for operations within the travel and transportation industries. Every organizational improvement starts as a project. 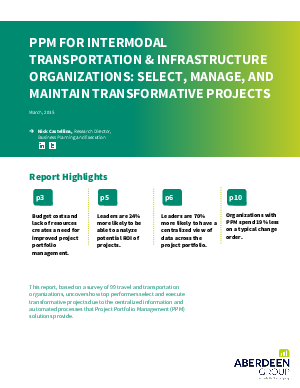 Download this report and learn how top performers select and execute transformative projects due to the centralized information and automated processes that Project Portfolio Management (PPM) solutions provide.